Companies are responsible for making sure that their products are safe for consumers. However, even if a company spends a great deal of time, effort, and money working to design and develop safe products, if a defect occurs in the manufacturing process—all that hard and careful work can effectively be rendered moot. Manufacturing errors and defects can take what would have been a safe product and make it a hazard. However, thanks to product liability laws, when a defectively manufactured product injures or kills a consumer, the company who made and sold the dangerous product can often be held accountable for their negligence. If a defectively manufactured product injured you, you may be eligible for compensation. Here's what you should know. 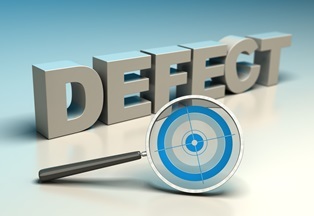 A defectively manufactured product is one that has dangerous flaws or defects as a result of shoddy manufacturing or errors in the manufacturing process. Whether the product was assembled incorrectly in the factory or made using low-quality materials, products with manufacturing defects are those that would have been safe had they been manufactured according to design. Defectively manufactured products are not the only kind of defective products that can pose a danger to consumers. Products can also be considered defective if their design has a flaw that makes them inherently dangerous or useless. With this type of defect, the product would be hazardous regardless of how it was manufactured. The plaintiff sustained a physical injury or property damage as a result of the defectively manufactured product. The product has a manufacturing defect that makes it unreasonably safe for consumers. The defect in the product's manufacturing was the direct cause of the plaintiff's injuries or economic losses. The plaintiff was using the product as the manufacturer intended when they sustained the injury or loss. Plaintiffs in product liability cases can seek damages for economic and non-economic damages, as well as punitive damages if the defendant's conduct was especially heinous. Potential economic damages include compensation for past and future medical bills related to the injury, property damage, lost wages if your injuries keep you out of work and loss of earning capacity if the injury was permanently disabling. Examples of non-economic damages include physical pain and suffering, mental and emotional anguish, scarring, disfigurement and loss of enjoyment of life. If a defectively manufactured product injured you or someone you love, the manufacturer should be held accountable for their negligence. Exercising your legal rights and filing a product liability personal injury lawsuit allows you to pursue the justice and the compensation you deserve—and the experienced product liability attorneys with the Morris James Personal Injury Group can help. Contact the Morris James Personal Injury Group today to schedule an appointment for a free initial case consultation. We are happy to walk you through your legal options, and answer any questions or address any concerns you may have.